Balancing Sales and Soul — How Flagships Allow for "We Brew What We Want"
For centuries, men and women have trusted their hearts to guide them toward personal and professional goals, but in America, the idea to “do what you love” is, historically speaking, relatively new. It was only about 60 years ago that we were still taught the value of obtaining education in a sought-after field, finding a partner, having kids, and moving to the suburbs. This straightforward life planning valued work, not art. For many, this trajectory simply isn’t the norm any more. Or rather, there’s far more balance as people approach “side hustle” as a legitimate source of income, happiness, or a way to pursue passions. One analysis even suggests 50% of the American workforce could end up as contractors and freelancers by 2030, something to potentially celebrate or deride, depending on your particular economic point of view. Either way, the idea of advancing personal interests through opportunity or necessity is becoming a larger part of who we are and what we do. Doing what you love isn’t just more widely accepted these days, it’s celebrated. Passion projects have taken on a new role in our lives, and especially in a competitive industry like beer, their role is arguably more important than ever for brewer and drinker alike. Some beers may keep the lights on, but others that often require more time, money and effort to make are seen as more intimately connected to the science and artistry of brewing in historic and romantic ways. Beer history is littered with examples of businesses doing what’s necessary to survive. During Prohibition, America’s oldest breweries found new ways to stay in business. Coors started a ceramics company by using clay found near the brewery in Golden, Colorado, and eventually turned it into the world’s largest technical ceramics manufacturer with $1.25 billion in sales. Anheuser-Busch took on $5.6 million in losses from 1919 to 1922 while selling 25 different non-alcohol products, from ice cream to refrigerated trucks and Bevo, a non-alcoholic malt drink. Yuengling started its Ice Cream Corporation in 1920 and continued making the dessert for 65 years, discontinued it, and then started again five years ago. Other countries didn’t take on the kind of experiment Prohibition thrust on America’s breweries, but even in a historically-steeped place like Belgium, capitalistic compromises have been made to appease customers and keep companies afloat. De Brabandere (Bavik Pils and Petrus), Omer Vanderghinste (Bockor Pils and Omer Traditional Blond and Oud Bruin), and Brouwerij Roman (Romy Pils and Ename) are all family brewers famous for regional styles that refocused on Pilsner during the 1970s and ‘80s as a means to survive. They’d all return to their Old World specialties later on as their budget safely remained in the black. Even Lindemans, best known to American drinkers for their fruited Lambics, used their sweetened beers to ensure the company could produce brands like Cuvée René, a widely beloved, authentic Oude Gueuze. Dedeycker’s story is a unique one in beer not often told. It’s an odd bit of trivia that today seems hard to believe: Saison Dupont, arguably one of the finest beers in the world, almost went extinct. It had been made for years, but just didn’t sell, and in the 1980s represented around 2% of the brewery’s sales. Moinette, a Strong Pale Ale, was the flagship brand in Dupont’s home country of Belgium—its sales allowed for the now-famous Saison to continue to exist. That beer and style were too important for Dedeycker to let go or even alter, as a “simple and true” beer that was historically valuable to him and his family legacy. The Saison got to be what it is today—a Beer Judge Certification Program core example of how to make the style—because famed writer Michael Jackson came upon it and convinced Wendy Littlefield and Don Feinberg to bring the beer to the U.S. through their import company, Vanberg & DeWulf. Moinette kept it around long enough to be discovered, and now almost half of Brasserie Dupont’s volume is Saison, and about 40% of the brewery’s production exported, led by that beer. That level of artistic honesty—or at least a search for it—has become a big part of the latest wave of America’s craft beer movement. Two decades ago, businesses relied more on distribution and a portfolio of core brands that seem quaint by today’s standards (Amber Ales, malty Pale Ales and others, alongside ever-ubiquitous Light Lagers). In recent years, with record highs for SKUs in the marketplace and daily turnover velocity from own-premise channels, there has never been as much opportunity to expand and diversify lineups. Brewery Ommegang, the underwriter of this series and one of longest-running Belgian-focused breweries in the country, recently announced its own brewery-only release of its first New England IPA. Brewer skills have grown and so too have palates, and a situation that once relied solely on core offerings has changed. Some call it “rotation nation,” but a constant churn is still supported by tried and true brands. Flagships, the bedrock of any brewery, increasingly double as a catalyst to build something new. Across the country, it’s a sort of “one for them, one for us” scenario. “One percent of sales, 100% of soul” is the refrain often heard from Allagash Brewing Co. staff when talking about their barrel-aging and coolship programs. 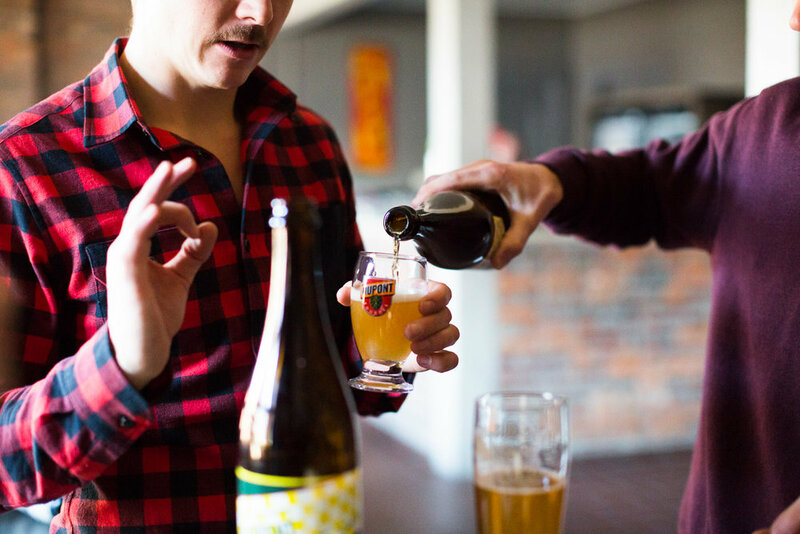 Brand-leading Allagash White, is the tongue-in-cheek hyperbole representing “99%” of sales. (Truthfully, it’s closer to 80%.) It’s a common business model for many a craft brewery: do what you have to in order to do what you love. Make the beer that pays the bills, but don’t forget about the stuff that gets you excited and can endear you to customers. Goose Island’s growing collection of barrels may have additional funding from its parent company Anheuser-Busch InBev today, but before its buyout, sales of Goose’s 312 Urban Wheat and IPA helped support Bourbon County Brand Stout. Firestone Walker’s 805 Blonde Ale provided roughly three-quarters of the brewery’s IRI volume in 2017, worth $44.2 million—a substantial number that certainly helps offset the time needed for Proprietor's Vintage Series and Barrelworks Wild Ales beers to be made and mature. Mike Stevens, president and CEO of Founders Brewing Co., has said his brewery’s $40 million expansion, and all the experimental beers that come with it, wouldn’t have been possible without the success of All Day IPA. Even Sam Calagione, when faced with the prospect of 60 Minute IPA becoming a beast that could create 70-80% of Dogfish Head’s sales, throttled back expectations and decided the brand should never individually pass 50% of all his brewery’s sales. He wanted Dogfish to always be seen as an innovator, and it’s paid off. With 60 Minute as the brewery’s rock, beers like SeaQuench Ale and Flesh & Blood IPA—both of which debuted as year-round brands in 2017—have rocketed up the brewery’s top-selling brands, having had time to incubate and reflect Calagione’s eclectic ethos for year-round status. SeaQuench is now the brewery’s No. 3 best-selling beer by volume in IRI-tracked MULC stores, which include grocery and convenience, while Flesh & Blood IPA is fifth. David Coors, namesake of one of America’s oldest and most successful breweries, was recently named president of AC Golden Brewing Co.—essentially a subsidiary of the MillerCoors behemoth, housed under the craft-focused Tenth and Blake division. The move and Coors’ oversight may seem a normal decision, but it's AC Golden’s purpose—to brew and package the Colorado Native brands of beer made with 100% in-state ingredients and materials—that sets it apart. (And, indeed, AC Golden counts craft luminaries like Troy Casey as alumni.) The company has been a small part of the larger corporation since its start in the 1970s, but today creates a unique product often only spoken of in terms of small and independent breweries. Just because a flagship brand pays the bills doesn’t mean a business plan can’t include a section for passion projects. Tröegs Independent Brewing is one of the biggest Brewers Association-defined craft breweries in the country, having produced about 100,000 barrels in 2017, led by its Perpetual IPA. Co-founder John Trogner says he loves all the beers his company makes, but his eyes light up in a different way when talking about Tröegs’ “Splinter” and “Scratch” series, which represent weekly one-offs and specialty runs made from new recipes and often local fruit used in new or different ways by his staff. Spotted Cow—a “Wisconsin farmhouse ale” brewed with flaked barley and Wisconsin-grown malt—alone is 65% of production, with four other year-round beers accounting for 25-30%. The final 5-10%, Carey estimates, is comprised of seasonal brands, and most notably, one-off releases and New Glarus’ small-batch Thumbprint Series. The core beers, led by that famous Farmhouse Ale, are ideal for drinkers who are looking for a good beer to not fuss over. The special stuff is for a little more contemplation and consideration, on behalf of both the drinker and brewer. — Dan Carey, New Glarus Brewing Co. There is a great amount of science that goes into producing the brewery’s repeatable “clean” beers, but when Carey gets to focus on barrel-aging or what comes from his coolship, unique aspects of artistry are added to the equation. Last year, that opportunity was extended when the company added a distillery to their operation for “the pursuit of flavor,” he says. It was a chance to diversify the business as much as a new learning experience with fermentation. The project isn’t just focused with return on investment in terms of money. It’s a way to provide education among trial and error. Many a pro brewer will tell you their origin story of entrepreneurial leisure—a hobbyist taking a leap from one job to make their own in beer. It’s making the “do what you love” dream become reality. Brian Strumke is doubling down on that tale this year. The renowned DJ/producer-turned-IT guy-turned brewer took a love for homebrewing to launch his nomadic business in Stillwater Artisan Ales, traveling the world to make and collaborate on a wide variety of beers. He’s been so-called “gypsy” brewing since 2010, but his attention will soon turn to a new physical space all his own. This fall, he opens PRODUCTION, Stillwater's first-ever brewpub. It’s a culmination of many years waiting to set roots, but for Strumke, it’s not only about having a homebase. In another life, Strumke was able to push his musical boundaries as he wished, and that mindset has certainly been a part of Stillwater’s success. He’s made modern IPAs, Farmhouse Ales, Pastry Stouts, and Sake Saisons. There have been kettle sours, but in the end, they’re just mimicking a true end goal. He says that mixed ferm is the most exciting type of beer produced, due to the required patience, delicate touch, and complexity that comes from it all, and his new venture “is me being able to get crazy” with it. Strumke estimates Stillwater has released more than 200 unique and collaboration beers over the past eight years, with an record high of 50 in 2015 made in 12 different countries, a number he expects to break this year. It’s one due this fall he’s most excited to share with fans. Four years ago, he procured about 50 wine barrels that he stored at Faction Brewing in Alameda, CA. A random collection of mixed red and Chardonnay barrels were all inoculated with Brett and filled with a clean Saison and grape must, a name given to leftovers from pressed grapes that includes skins, seeds, and stems. Representing a beer-wine hybrid he likens to petillant natural wine, the barrels have gone untouched since, creating “an art that is agricultural” in its intent. That beer, the first in his new Preternatural Cuvée series, was made possible by nearly a decade of Stillwater, connections that made it possible to collect dozens of barrels, and a long wait, believing in what would come at the end. In other words, faith in doing something Strumke loved, with hope that others would be just as excited of what came of it. The latest result of his work, not built off a single flagship beer but a flagship brand, has allowed him to come full circle from his homebrewing roots. He followed a passion which eventually brought him to a place where that became much more, his ambitions connecting. There’s new romance to his work, inspired by the effort and beers that led the way to this point. He’s doing what he loves. That effort, followed for decades by esteemed brewers in Belgium and other parts of the world, has now become fully embraced by American counterparts. The love of something new, created by and through artistry, passion and trial and error. Keeping the lights on is first about paying the bills, but it’s about energizing ideas, too. 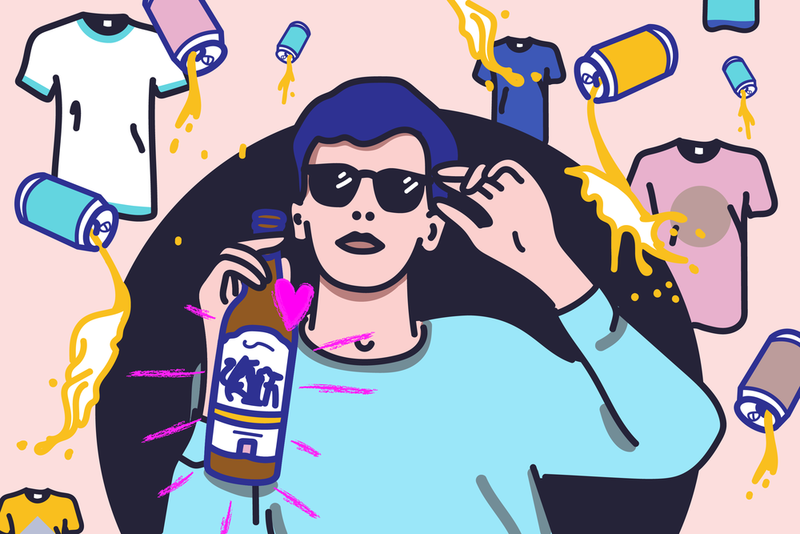 Fight the Power — Could Consumer Beer Organizations Work Stateside?